International School of Beijing News: What's on teacher's Kindle? 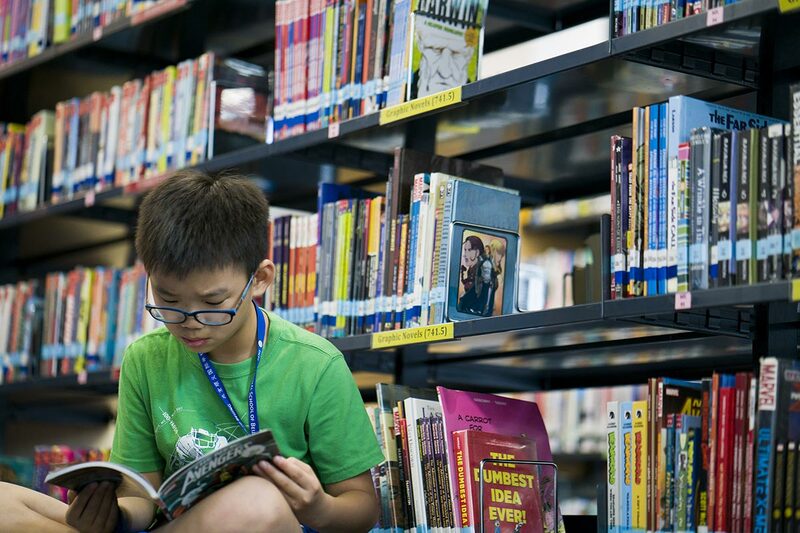 Teachers at the International School of Beijing (ISB) spend a lot of time modeling good academic and social practices for students, and one new initiative aims to inspire a love of reading in the Middle School (MS). From humanities to science, faculty will soon begin using noticeboards around their classrooms to display what they are currently reading. The noticeboards, to be updated with the books next up on teachers' reading lists, were dreamed up by MS humanities teacher Krista McGowan. She explained why she thinks it's important to give students some insight into adults' literate lives: "The research around reading and middle school-aged children is quite clear – the number of minutes students read for pleasure drastically drops after hitting middle school. In knowing this, I feel as if it is our duty to do everything in our power to help our students love reading. "Children need to know that adults read not just because we have to, but because we actually want to. This is why I share my reading life with my students. But I don't only talk about the amazing books, or the books they'll like – I share the books I've abandoned, or struggled with because I was pushing myself as a reader. I believe students need to know that even as adults, we don't like all books, and we don't always enjoy it when we are asked to read something we didn't select. Students need to hear how we work through those challenges. "At parent-teacher conferences, I've had parents talk to me about the books I'm reading as well. Their children went home and shared a bit about my reading life. Several parents commented that all their children want to do is read and that they've never seen them read as much. 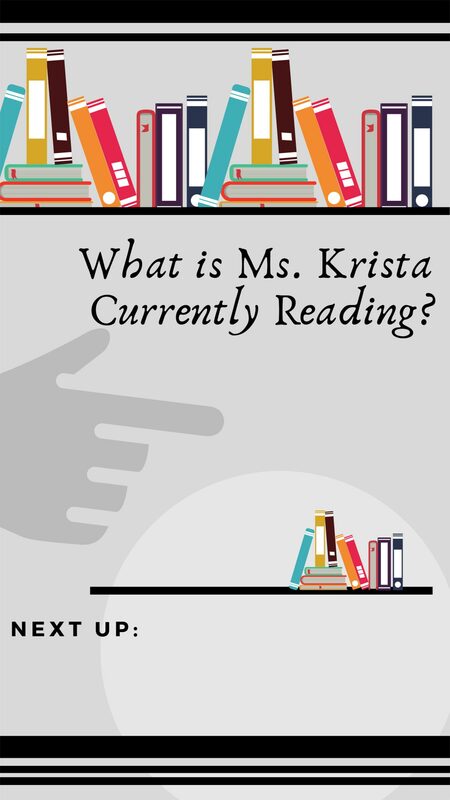 I believe we can develop a reading culture, not only in classrooms, but across school." "I've recently read Unwind by Neal Shusterman. It shows how political issues can tear apart a country. In Unwind, everyone is guaranteed the right to life, until they turn 13, and then parents can send them to be unwound. Shusterman writes for a young adult audience. "Another book I'm reading is A Very Large Expanse of Sea by Tahereh Mafi. I'm finding the book engaging on many levels because the narrator speaks like a teenager and the challenges she faces feel real. It's set in the post-9/11 United States and it shows her experiencing the prejudices associated with being Muslim, her first love, and the struggles of moving to new schools. Again, the book is intended for young adults. "Lastly, I'm loving Factfulness by Hans Rosling. His family finished this non-fiction book for him after his death, and it uses the data he collected to show the state of the world, human progress, and how our need to think fast leads to misconceptions that become accepted fact. Rosling is also a pretty funny writer. Highly engaging." "My wife brought Unbroken by Laura Hillenbrand home, and loved it, so I picked it up as soon as she finished. Unbroken is about an amazing man who, after getting into a lot of trouble as a kid, became an Olympic runner. Louis Zamperini ran in the 1936 Berlin Olympics and had his sights set on the 1940 event. Unfortunately, World War II started. Eventually, he was in a plane that crashed over the Pacific Ocean. He survived only to be made a prisoner of war. The young adult version of this engaging book can be found in the ISB library. "My current professional book is Creating Cultures of Thinking by Ron Ritchhart. Professional books take a bit more time for me to get through as I read small bits and try to shift my own practice a bit if applicable. This book supports the work currently being done with my co-teachers to develop independent learners." "I love the book Essentialism because it really made me think about my life and the things that are essential to me. If people are clear about their intentions, their passions, and what they're pursuing, then you're able to make the most meaningful contribution to your community. That's relevant to my life and it's also relevant to ISB as we talk a lot about social-emotional learning. "I follow a lot of bloggers and podcasters, and among them is Goal Digger, which is about female bosses, social media, entrepreneurship, innovation in this age. I want to be read up on that because I feel that's the kind of world our students will be living in. Present Over Perfect was one of the top five books recommended by the owner of that podcast. We have a high desire for validation and to please everyone, and sometimes we neglect ourselves in trying to do that. Present Over Perfect talks about the fight against perfectionism. That frees you to be present for the people who really matter to you. "A person can only experience so much in a lifetime, but the human race is so much bigger than that. What reading does is it allows our minds to go beyond where we are physically, to see into the past, into the future. It enlarges our language, which is how we harness our thoughts. Reading creates space for empathy because it allows us to understand the stories of other people." "I am currently reading book one of The School for Good and Evil. Fantasy is not a genre I typically enjoy reading; however, one of our sixth graders recommended the series and I was pleasantly surprised. Book one introduces the reader to the adventures of Sophie and Agatha in the magical School for Good and Evil, where children are trained to become fairy tale heroes or villains. I would most definitely recommend this series for students 10 or older who enjoy fantasy and fairy tales. "I love to read because I learn something new from every single book. Reading is also powerful because it promotes understanding, respect, and tolerance of other people and other perspectives."